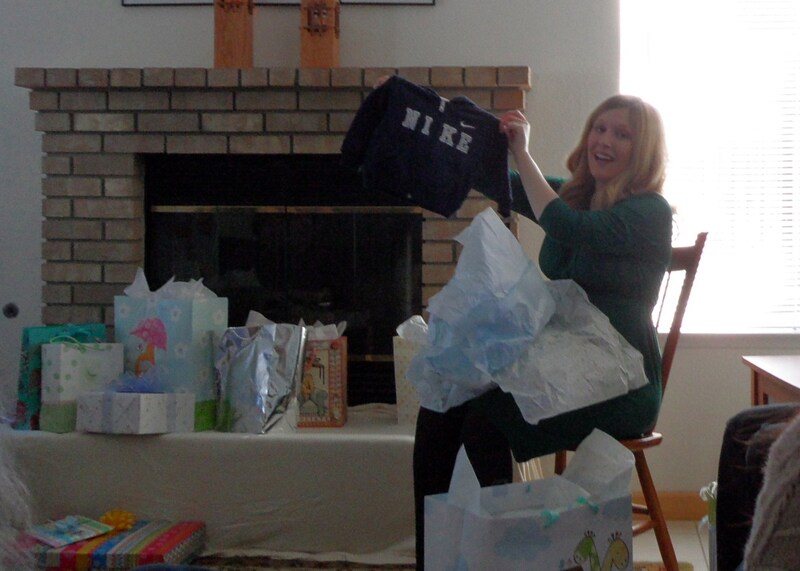 On Saturday, I had my first baby shower! Yes, I’m having more than one. Three, actually. The one on Saturday was for family who lives in Northern California. Next weekend, I’ll have a local one for friends and more family. Then, on my birthday, my department at school is giving another one. I’m so lucky, right? 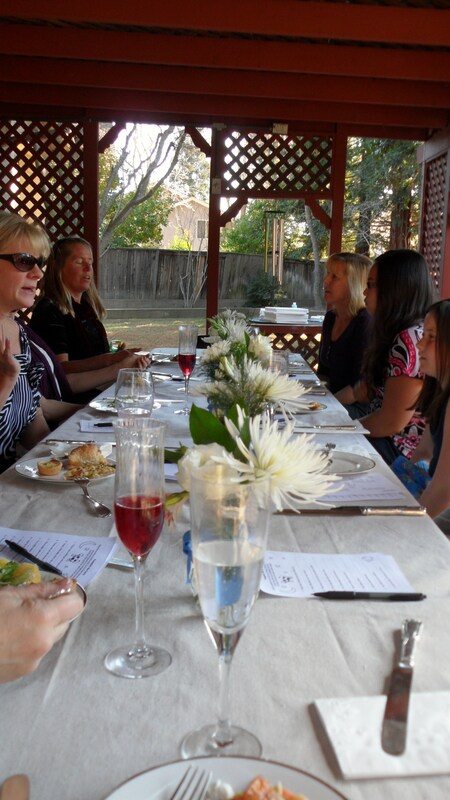 On Friday afternoon, my mom, stepsister, and I headed up to Fresno to my aunt’s house. I was a little worried about being in the car for nearly four hours, but it actually wasn’t too bad at all. We stopped a couple of times and talked almost the whole way. That night for dinner, I had my very first chick-fil-a! It was pretty good, but I should have gotten some sauces for my fries. While we were eating, my husband texted to tell me he had slipped a card in one of my bags and that I should open it. How adorable is he?? He told me to open it early because we had been texting and I kept saying “Awww” at whatever he was saying. It was pretty good timing and so sweet of him. It’s the little things, you know? 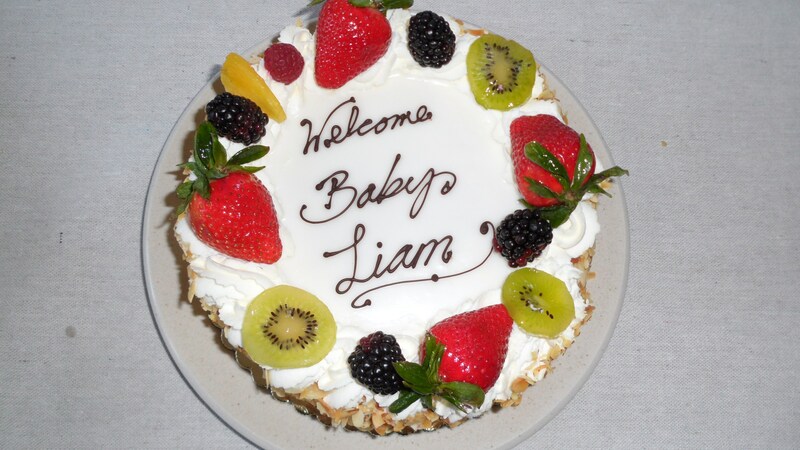 Saturday, a few close family members came over to celebrate the pending arrival of baby Liam! 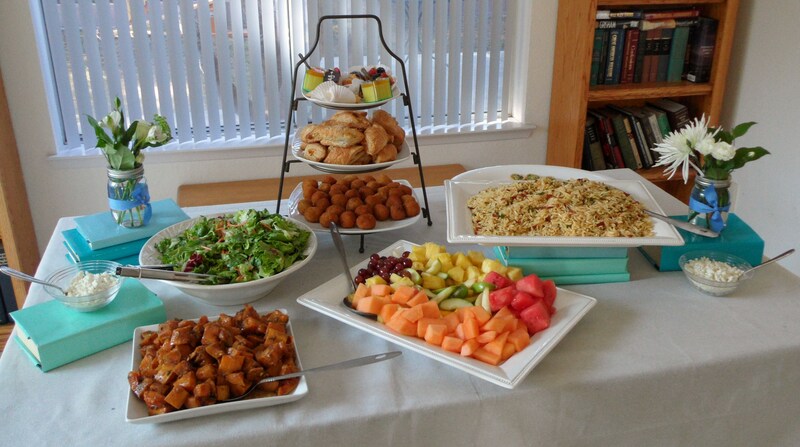 There was lots of yummy food, including potato balls and puff pastries from Portos that my mom brought from LA. 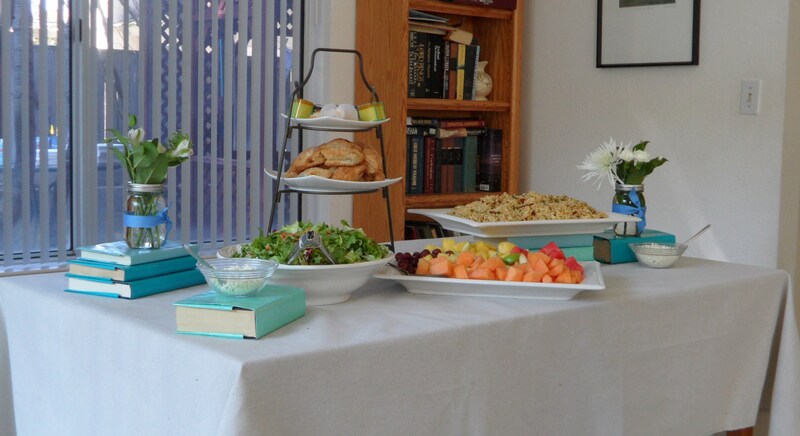 We used hardcover books covered in shades of blue wrapping paper to elevate some of the platters and the tablecloths are burlap drop cloths from the hardware store. Cheap and easy! 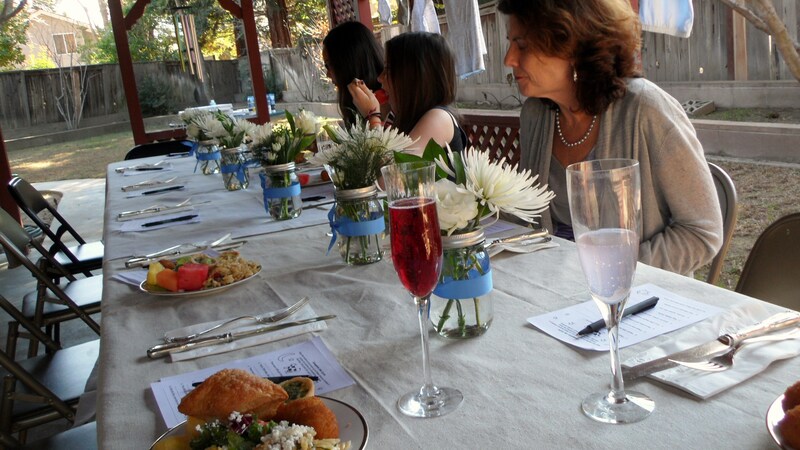 The tables were set with the burlap tablecloths and mason jars tied with blue ribbon and filled with white flowers. My mom brought her special gold rimmed plates and we used some family heirloom silver. I was worried it would be too cold to sit outside, but it was actually perfect weather! 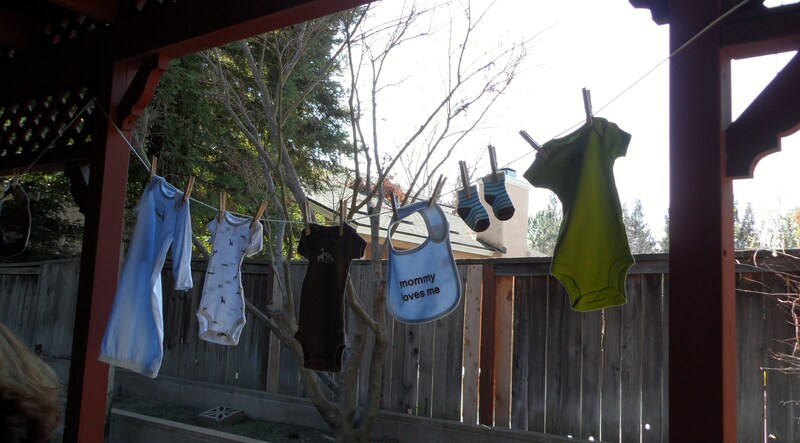 My aunt’s gift to me were all these adorable clothes that she hung on a string with clothes pins that doubled as decoration! It was so cute. While we were finishing up lunch, we played these fun games. It’s a well-known fact that I’m not a fan of traditional shower games. I can’t stand the chocolate in the diaper, measuring the belly, not saying the word baby, or tasting the baby food. 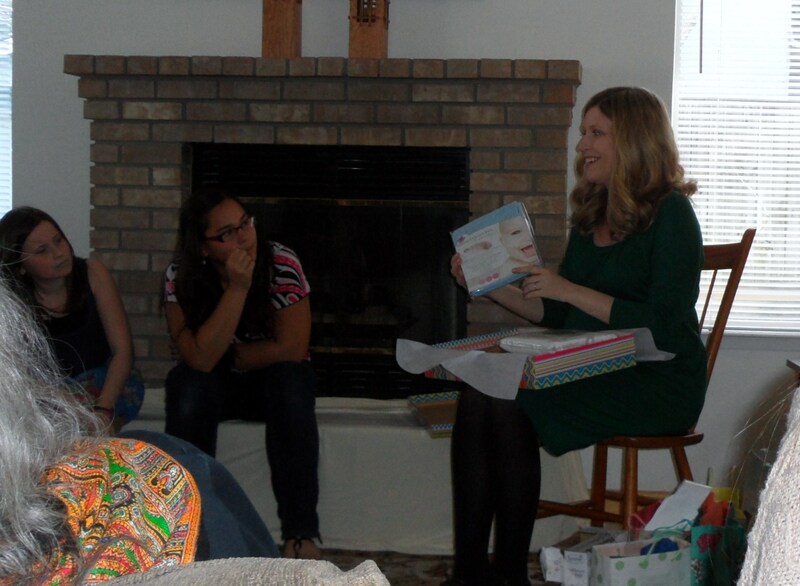 I was the same way with my bridal shower (but different games, obviously). These were perfect for adding some fun without being too cheesy. 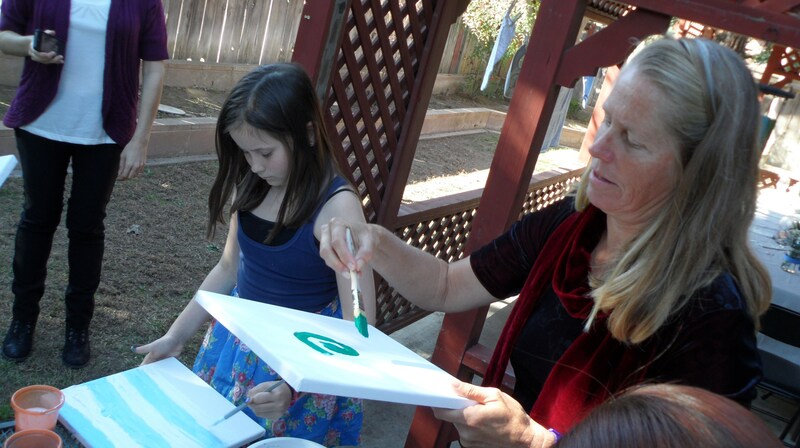 After lunch, we set up the craft of the day: canvas painting for the nursery! I wasn’t sure how it would work out, but it was so fun! 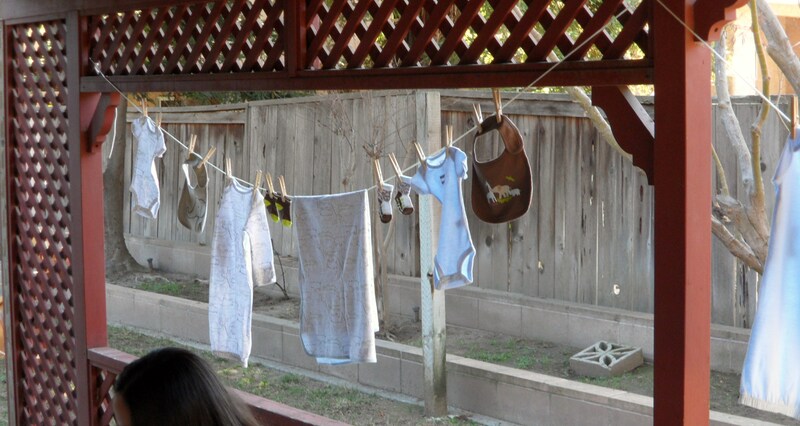 I plan to hang them in a grid on the wall above the changing table/dresser. 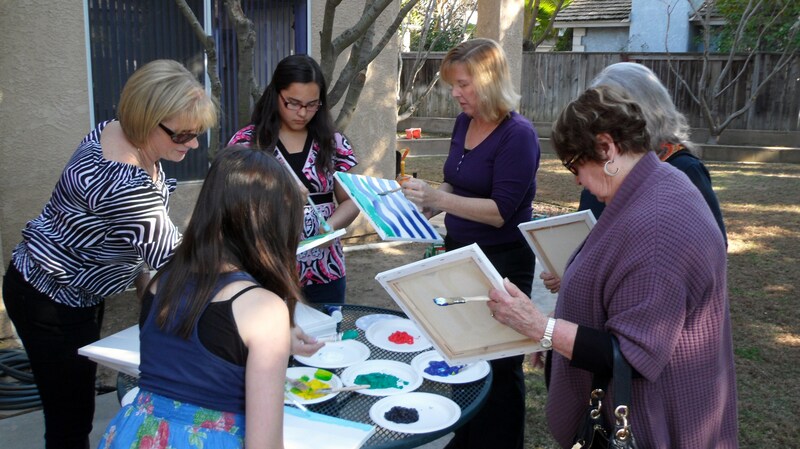 After painting, it was time for gifts! We got so many great books, tons of cute clothes, and some very practical essentials. The best part was reading the inscriptions to Liam in the books. Some made me cry! Earlier that morning, my mom went to a local bakery and got this beautiful and delicious cake! Yumm. After the shower, a few of us went out to shop and catch up. Then, my grandpa came over for pizza and even more desserts. 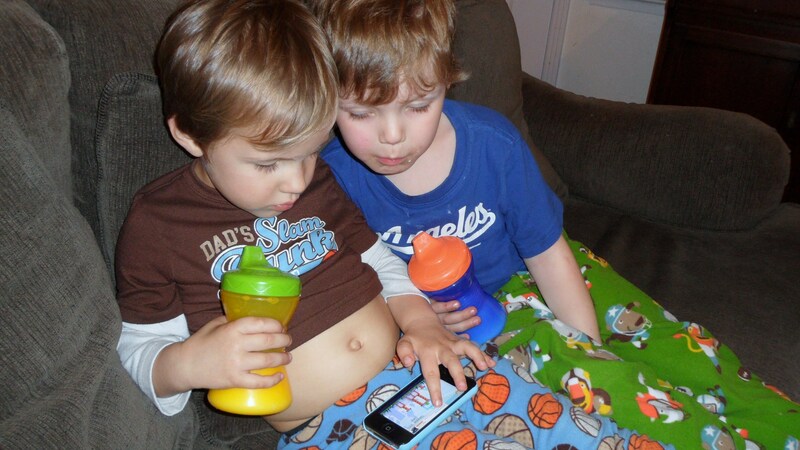 My cousins wound down with milk and iphone games. They’re just too cute! The next day, we packed up and headed home, just in time for the Super Bowl, of which I only watched the halftime show. It was a great weekend and I’m so thankful to my aunts and mom for putting it all together! Aww, what a great shower!! I can’t wait for your next one, I’m excited. And those potato balls? All I can think about now. Yum. I remember when I read your posts where you were dreaming about a day like this (during all your infertility struggles). I’m so glad your dreams are coming true! cute pics! what a nice shower! i love chick-fil-a…. ive gone a little overboard with it since ive been back actually. i need to cool it. Looks like you had a great time!! Love the decor! So simple, yet so chic! The canvas idea is brilliant for a small shower! I imagine you won’t do that at every shower, though, since you don’t want every square inch of the nursery covered in painted canvas. Haha. Did you guys make the shower games or download them from somewhere? I’m curious! I love the nursery rhyme one! I was filling them out in my head as I looked at the image! Haha. Oh and Chik-Fil-A is wonderful! I didn’t realize you guys didn’t have them in your area. We have one every few miles here! No, it was a special activity just for this shower because there were only 12 people there. 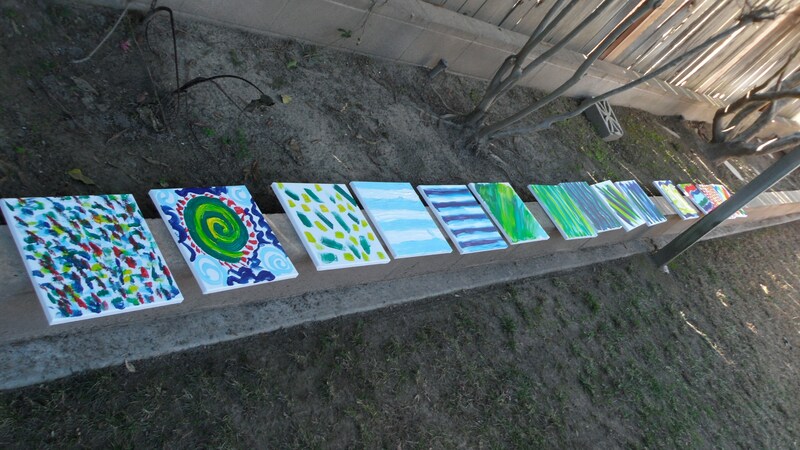 We still need to do two more (we did 14 at the shower) so we can have an even grid. I think my husband and his mom will want to do one. The games came from a book she had and the little pages just tore out. 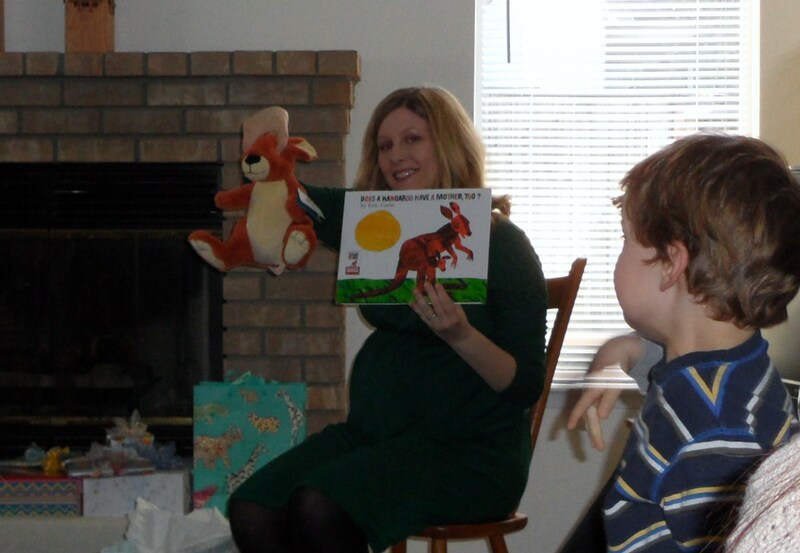 I’m not sure how many of each game were in the book, but she had plenty for our small group. 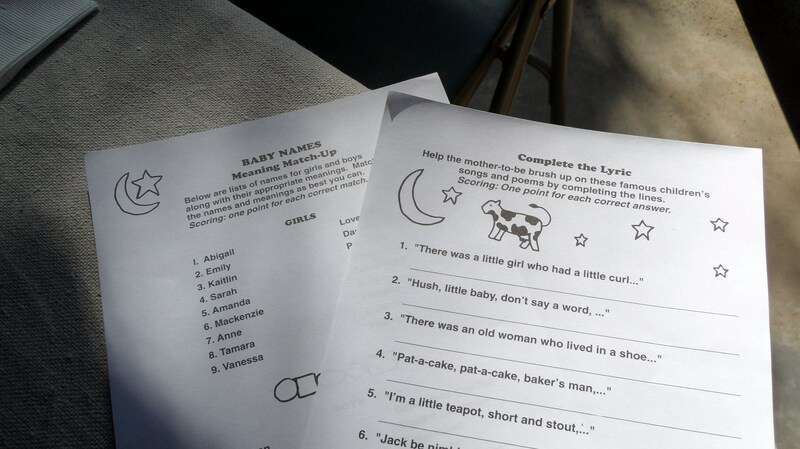 For my next shower, we are doing a variation of the nursery rhymes one with kids’ books, so I’ll share that soon!